ItIt was a true family affair the 1st Salon at the Garden. It was a night marked by surprising performances, beautiful music, and overall, an appreciation for a special time together. The vibrant personality of Andrea Clearfield set a tone of joyfulness as MC and performer. The spirit of the Philadelphia salons she curates came to life with grace and sensitivity. A bright full moon shed a soft light over the waterfall and the soft hills of the garden. With the doors wide open, the grand room seemed to extend seamlessly into the greens and trees. Taking the inspiration of the Japanese themed Garden, Andrea Clearfield invited Chuck Peck to open the night playing the sakuhachi, a traditional Japanese wood flute. For most in the audience the sounds of the sakuhachi were a pleasant discovery. Chuck Peck performed three short solos from the 19th and 20th Century. 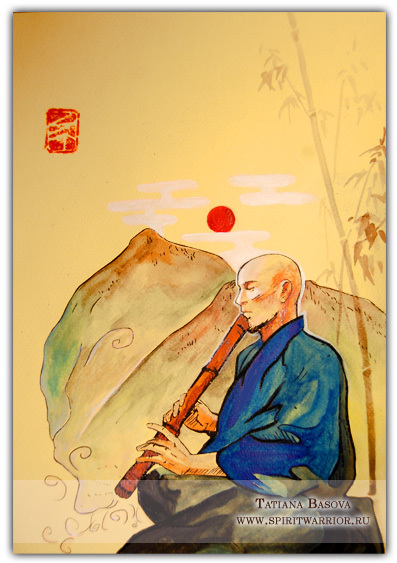 The sound of the sakuhachi is said to replicate the full range of natural life on Earth. Chuck Peck’s melodies resonated as if a subtle invitation to slowly walk through the streets of Tokyo after a morning rain when the breeze is gentle and warm. The sound of the sakuhachi is so deep and rich. The music was beautiful and mesmerizing. Nathan Tsosie, playing the Native American flute, was invited to share the sounds that are so familiar to us and that reconnected everyone with the Native culture of Arizona. Nathan’s melodies were, as he explained, the sounds of his childhood and family lore. The music recreated the sounds of the canyons and rivers of an ideal land and displayed his sensitivity. Nathan performed with great control and his sound was so pure and emotional. The richest visual surprise was the Garden Haiku dance choreographed by Delisa Myles. The bright blue moon defining the lines of the soft green hills provided the claroscuro frame for the magical piece performed by Delisa Myles, Breanna Rogers, and Ashley Fine. The long figure shaping dress hinted of silk kimonos, and the red Japanese folding fan conveyed the motions of a traditional Japan of yore. The choreography was based on the theme of feminine search for freedom. Some movements were dense, some light, some child-like with the dancers responding to feelings of a Japanese haiku (poem). The dance conveyed the many moods of a rural landscape with smooth strolls, joyful pirouettes, perplexity of not finding a path, all seeming subtly guided by a destiny. Their bodies moved in sure steps thirsty for a new fate. When the audience seemed lost in the dancers’ trance, they depart quickly from view, and returned rolling on the ground with large tumbleweeds. The audience gasped in awe. The calm grace of their departing into the night was an amazing moment. 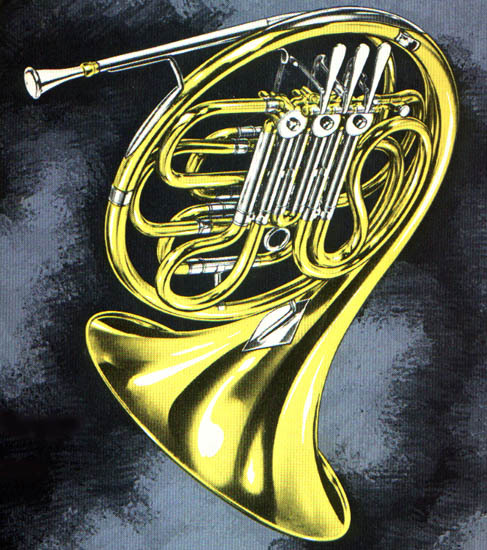 For those of us, myself included, who don’t claim a music rich life history, the soothing sound of the French Horn was mesmerizing. The talented Gabe Kovach, first horn of the Phoenix Symphony, performed Franz Strauss’ Nocturno accompanied by Andrea Clearfield on the piano keyboard. Gabe showed all his musicality and sensitivity. The words of one of the guests best captured the performance ‘the music had a way of enveloping me, it gave me the chills.’ On top of that Gabe was perfectly amiable and cheerful with the guests. The ‘chamber music’ portion of the program concluded with a piano solo of Brahms Intermezzo, Opus 118 #2 by Andrea Clearfield. The interpretation was beautiful, touching everyone with the delicate feelings of the work. It was a joyful and appropriate closing for a very special night. The first Salon at the Garden was a great success. It was a truly multicultural night in which the East blended with the West, classical blended with the feminine free spirit, and the native sounds set the background for great story telling. We were very happy for the opportunity to host it. Music has made us many new friends, and created a space to enjoy and support new talent. Mark your calendar, the next Salon will be on Sunday, November 9. Check the Gallery page for the music and more pictures of the 1st Salon. This entry was posted in Performances and tagged salon, andrea clearfield, talent, Music, musical salon, Sakuhachi, creativity, inspiration by John Zerio. Bookmark the permalink.